I have always loved drawing and painting. 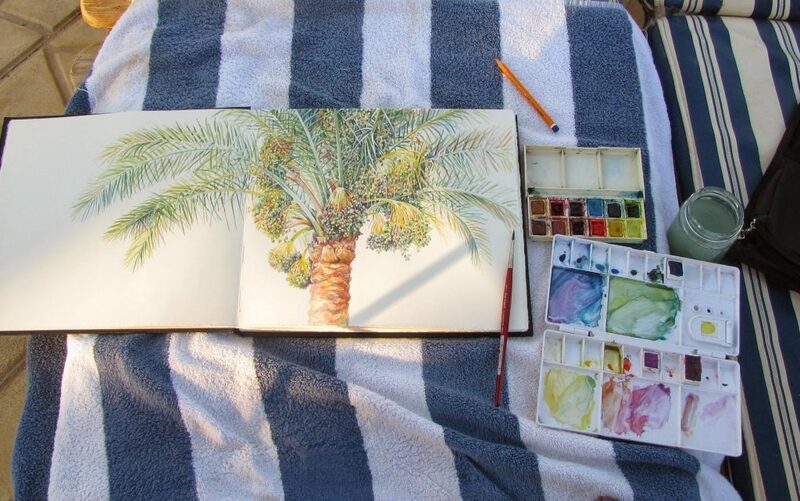 However, it was only when I moved to Egypt in 2005, that I found the time to indulge my passion for art and nature. Inspired by the beautiful flora and light of the Middle East, I taught myself watercolours by painting the flowers and insects that my young daughters found in the gardens. 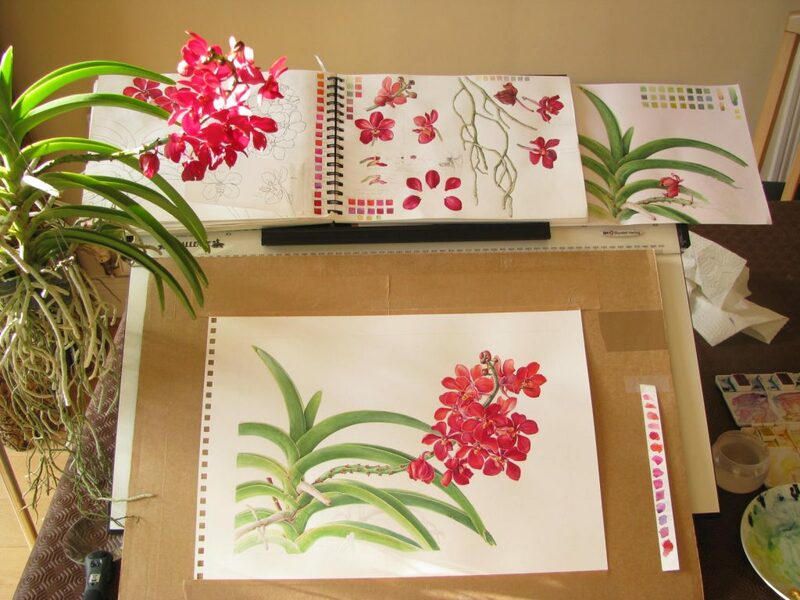 I was introduced to botanical art in 2008 on a visit to the Shirley Sherwood Gallery in London. I remember being completely mesmerised by the artwork – the intensity of the colours and the meticulous attention to detail was awe-inspiring. I returned to Egypt, enrolled on the Society of Botanical Artists Distance Learning Diploma Course, graduating with distinction in 2012. 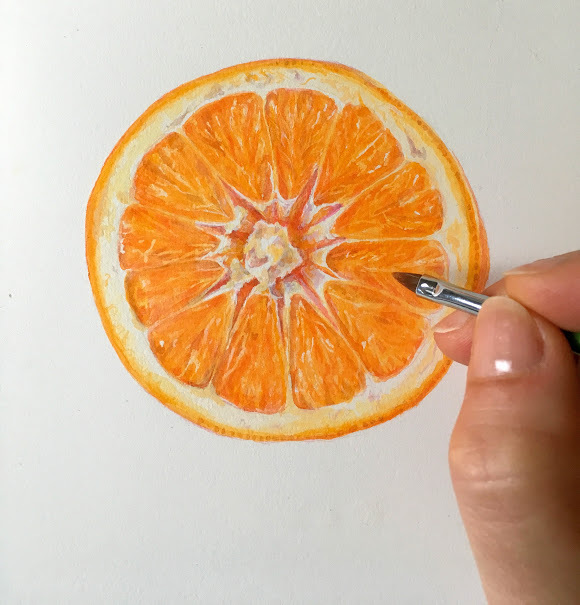 I now live in Kildare working full-time as an artist and art tutor. I exhibit regularly in Ireland and internationally, and have won many awards for my work (View My CV). Teaching allows me to share my enthusiasm for nature and art. I travel extensively giving workshops and demonstrations, (See WHAT’S ON) and feel immensely proud when I see my students master a technique. As well as running my own online course, I am a tutor for the SBA DLDC, the very course that started me on my journey. In recent years I have been exploring the artistic potential of vellum as a substrate. The historical connection appeals to me. Vellum is specially prepared animal skin, usually calf, goat or sheep, and has been used for royal decrees, religious manuscripts (e.g. the Book of Kells), constitutional laws and important historical events for over a thousand years. The technique for preparing vellum remains the same. 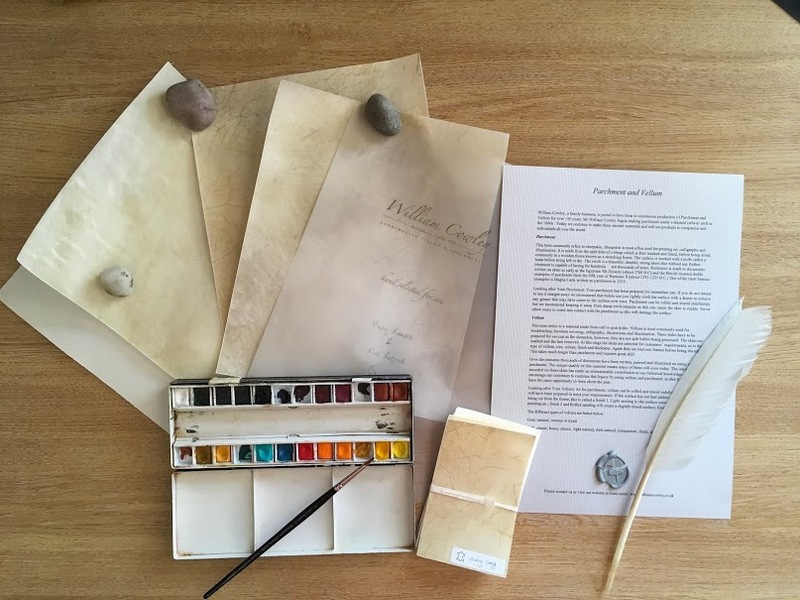 Vellum imbues a beautiful luminosity to watercolour paintings as the pigment sits on the surface. Each skin is unique, reflecting the life and death of the animal. I try to incorporate these organic markings into my work. Working on vellum brings a sense of reverence and connection to the natural world. All the vellum that I use is ethically responsible, using skins of animals that have lived well and died naturally. Some skins are a by-product of the meat-industry and would otherwise go to landfill. Using Botanical art to raise Awareness is something I feel passionate about. 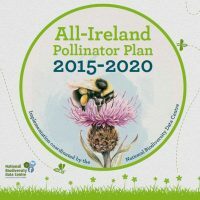 In 2015, I designed the cover logo for the All-Ireland Pollinator Plan, a nationwide plan to make Ireland a place where pollinators thrive and survive. Bees are very important to our environment and their numbers are declining at an alarming rate. One of the objectives of the plan is to raise awareness about the decline and the actions needed to save bees, so I try to incorporate this aspect into my work. 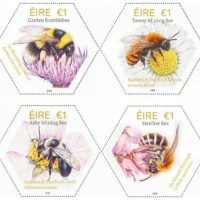 My proudest achievement to date has been to design a set of Irish postage stamps featuring native Irish bees, launched in 2018. This involved doing a lot of research into the different types of bees and their habitats. 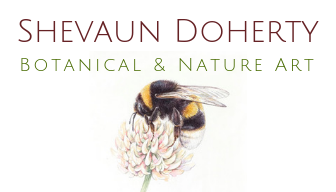 Since 2015, I have been involved with the Ellen Hutchins Festival, an annual event held in Bantry, Co. Cork, celebrating the life of Ellen Hutchins, a young female botanist and illustrator who died over 200 years ago. It’s a wonderful event that brings history, art and botany together. Through my involvement, I have met some fascinating people, and become interested in lichens and their ecological significance. Here is a video made by the Ellen Hutchins Team featuring my lichen paintings.